He has not paid any of the $38 million fine he received for lying about his book The Weight Loss Cure “They” Don’t Want You to Know About. Trudeau has always claimed that he is unable pay the fine because he simply has no money to pay it. Yet in spite of Trudeau’s pleas of poverty, he continues to spend lavishly on fancy cigars, liquors, and haircuts. The judge hopes Kevin’s time in prison will focus his mind and help him remember where he put all his money. Read the full story yourself from the Chicago Sun-Times. 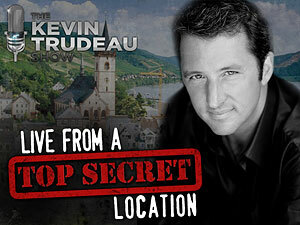 Update September 19, 2013: The same judge that put Kevin Trudeau in jail released him after only one night, but threated to send him back if he doesn’t cooperate. Read more from the Chicago Tribune. Those wanting to see KT do hard time are once again going to have to wait and see. Trudeau’s next hearing is scheduled for September 26. The saga continues. Perhaps he can use his “Magic Genie” to spring him out of prison. Then again he probably should’ve used the Genie and avoided jailtime all together.